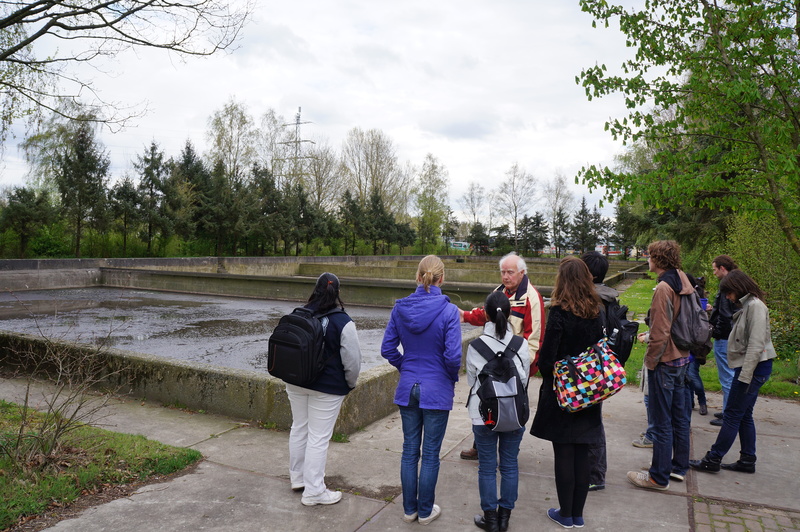 On Thursday 26th of April, in the self-study week, a group of students gathers in Forum to learn about urban sewer systems, by lectures and an excursion. The first speaker of this afternoon is Melle Nikkels, former WUR-student and now employee at Roelofs Groep, a company that designs and install urban sewer systems. That is what his presentation is about: to give insight in the design of current urban sewer systems and to show how these systems are maintained or replaced. After this first presentation, the floor is given to Richard van Vliet, team manager at Wageningen Municipality. He explains how the urban water system in the city of Wageningen is arranged and he shows parts of the Water Plan for Wageningen. In this way the participants learn about the situation in their own city of residence. When both presentations are finished and questions have been asked, it is time to depart to Ede, where we will visit a sewage treatment plant. 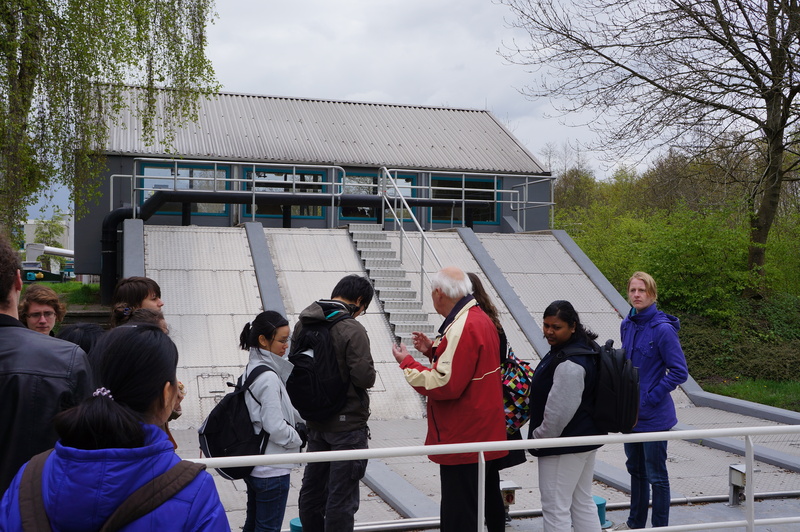 In Ede we are welcomed by Cees van Loohuizen, former employee of the sewage treatment plant. He is very enthusiastic and first gives an interesting presentation about the treatment plant. Then he takes us on a trip to see the plant and the specific steps of water treatment. It is nice to see how it works in practice. At the end of the tour it starts raining very hard, so we quickly finish the tour, thank Cees for his contribution and get back in the mini-vans which take us to Wageningen. All in all it was an interesting afternoon, which provided us with a complete overview of our water system, so that we now know what happens with the water after we flush our toilets or take a shower.